Artificial Intelligence is reshaping the world as we know it. The United States has long been, and remains, the global leader in AI. That first fact is correct. 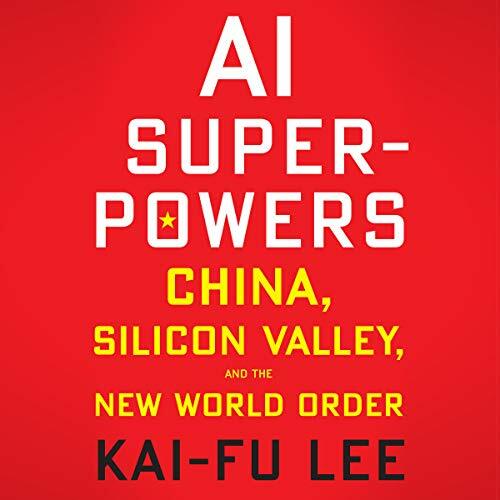 But in his provocative new book, Dr. Kai-Fu Lee - one of the world’s most respected experts on AI - reveals that China has suddenly caught up to the US at an astonishingly rapid pace. As the US-Sino competition begins to heat up, Lee envisions China and the US forming a powerful duopoly in AI, but one that is based on each nation’s unique and traditional cultural inclinations. Building upon his longstanding US-Sino technology career (working at Apple, Microsoft, and Google) and his much-heralded New York Times Op-Ed from June 2017, Dr. Lee predicts that Chinese and American AI will have a stunning impact on not just traditional blue-collar industries but will also have a devastating effect on white-collar professions. Is the concept of universal basic income the solution? In Dr. Lee’s opinion, probably not. 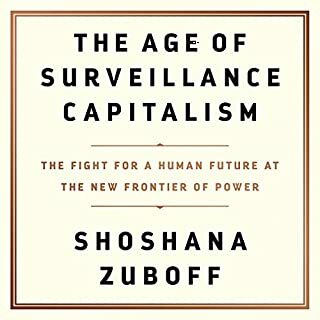 In AI Superpowers, he outlines how millions of suddenly displaced workers must find new ways to make their lives meaningful, and how government policies will have to deal with the unprecedented inequality between the "haves" and the "have-nots." Even worse, Lee says the transformation to AI is already happening all around us, whether we are aware of it or not. Dr. Lee - a native of China but educated in America - argues powerfully that these unprecedented developments will happen much sooner than we think. He cautions us about the truly dramatic upheaval that AI will unleash and how we need to start thinking now on how to address these profound changes that are coming to our world. ©2018 Kai-Fu Lee. (P)2018 Brilliance Publishing, Inc., all rights reserved. Ignore the bad reviews this book is fantastic and illustrates a valid point. China has built out a digitial eco system with its own tech giants equivalent to facebook, amazon, google... and will provide fierce competition for the upcoming AI race and beyond. Most are too blinded by their pride to see the competitive threat, hence the bad reviews. Really enjoyed this book. Great intro to the rise of China in the coming AI age. 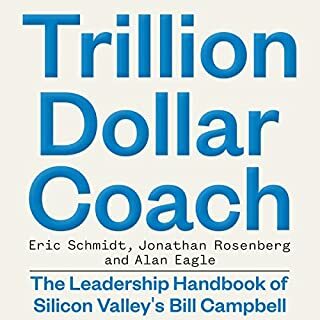 I listened the entire book and it reads very well. I enjoyed the subject and different perspectives that author narrated. Well researched, good case studies and some good arguments. But nearly everything is pro China. I'm not saying the pro China stuff is bad but no proper analysis on any silicon valley breakthroughs. It is kind of Chinese Communist Party propaganda. The writing was stilted. The author or whoever crafted the prose is the champion of buzzwords and cliches, putting the presentation into a slow motion slogfest. For me it was work getting to gratifying moments of stimulation. If exceptional nonfiction writers of Artificial Intelligence (AI) exist, who are they? I doubt the narrator understood what he was reading most of the time or else even he could not rescue it. Unlike the audiobook's sample 3:25 min, almost all the book's narration is slow and mechanical. Yet the performer had truly outstanding pronunciation. I don't normally listen at high speeds but found it best to listen at 2x, and easier to understand at this higher speed. Try to tune out the cliches when you listen. 1. Kai-Fu Lee explained how his experience with lymphoma (cancer) changed his relationship with artificial intelligence (AI). He returned to his youthful viewpoint that AI will show humans who we are in addition to improving our lives. He decided to change his habits and spend more time with his family. This was sincere and inspiring; I found it very moving even though it was expressed in an unnatural way as if the author were in a straight jacket. 2. Author weaved in references to famous Chinese entrepreneurs to show how Chinese culture and schools came to embrace AI in contrast to the West. They indeed love AI - it's in their blood, apparently. Their government backs this science financially and in other ways. It's about how China is implementing AI quickly on a grand scale and everybody there is into it. This made me understand that it's different in China, that AI is championed. 3. 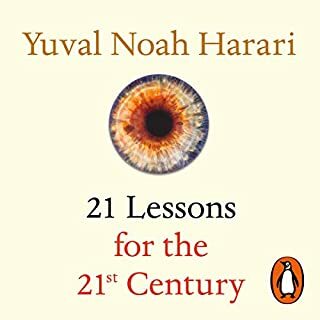 Author gives opinions of where AI is going and why. Kai-Fu Lee knows his stuff irrespective of his writing weakness; one naturally respects him for his expertise. 1. Author enthuses about Chinese entrepreneurs who steal intellectual property and accuse competitors of imagined crimes as China's "gladiators." He revels in this. Well if you're from China, this might be a high point due to national pride and even addiction. Lee is painfully careful to in no way be seen as criticizing the Party, not even indirectly, and this makes him come across as stilted. He retreats into slogans and platitudes so blatantly that I entertained thoughts of getting my credit back. 2. 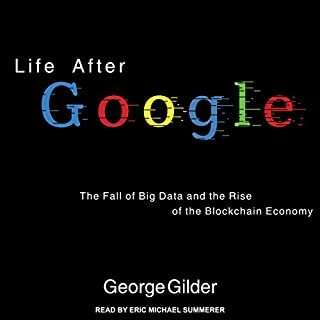 Author's dystopia prediction of what AI is going to do in the short run, namely, concentrate wealth more and more, left me feeling poorly. He made me feel that personal expression will be restricted too much. Here's why I think some people should slog through the book: there aren't many good books on AI, so take what you can get. Further, I did it so I think you should do it - just kidding on that point. Mad-Max vs Gladiator vs Mother Theresa? I almost came away from this book with a sense of hope and euphoria. Kai-fu's NDE knocked him out of the maximum-impact mindset, and elevated his thoughts to a much higher level benevolent, compassionate and socially responsible vista. 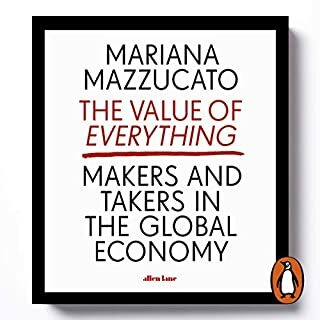 But, like Bostrom, Tegmark, Kurzweil et al, he assumes there is a overlooking entity that will guide us to the mountaintop he describes ... while noting that all these corporations, governments and rogue militaries are hell-bent (mad max) on winning. He somehow glorifies China's wanton IP theft and copycat mentality as the initiation process to entrepreneurship. He is probably right that China has the ingredients to surpass the USA in AI, given it's massive data (AI power input), maniacal corporate initiative, insane levels of VC funding, millions of stary-eyed AI students, cut-throat internet industry and a government willing to cut corners and take safety risks that will hobble the U.S. But ... that is ONLY if the optimization response surface is a smooth gradient accent with incremental improvements driven by the noted factors. But, is it? He does a fantastic job of reviewing the reports of job (tasks) attrition due to AI productivity enhancements ... and notes how this will effect different classes of workers. But, is China building an AI card-house ... with energy input from its feedback loop driving the temple higher. .. while leaving a pyramid of useless-class people behind? Isnt China at a much higher risk of collapse, with the structure of it's population and this exalted gladiator mentality? The way I see it, China will either burn the card house underneath it ... or will succeed in accomplishing Kai-fu's dream. In the first case, we ought to worry about the global geopolitical repercussions. Will the 'hordes' (disenchanted) of highly skilled hackers go on a cyber mad-max rampage across the mega-connected world? And then, what of the world's response, with AI driven counterattacks? And then, when there are millions of conflict points, how do you contain the respose to massive destruction events that take out critical infrastructure and systems? Unless the USA/China/Russia form tightly knit cooperation pacts and joint development programs right now, its going to get ugly fast. 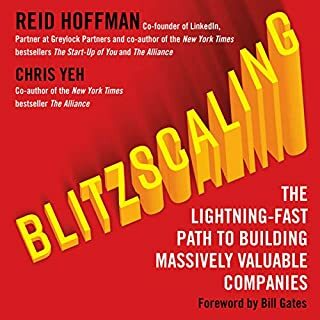 Be mindful of why people are giving this book low votes: I'm sure many westerners will find Lee's tone in this book somewhat condescending with respect to Chinese dominance over the rest of the world. But look past the condescension, and you might find great value here. He gives an up to the minute, non-technical report of technologies relating to AI, and China's rapid developments in the area since its overnight adoption of AI in 2013. 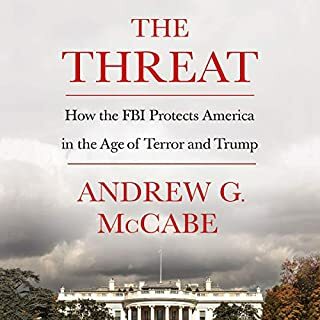 He offers an overall even-handed perspective, despite his exaggerated Chinese nationalism, with emphasis on the benefits and advantages China has gained, and will continue to gain, by copy-catting, pirating, and cheating. Lee's discussion on the pros and cons of universal basic income (UBI) trivialises its complexities. And I completely disagree with what I took to be his opinion of what careers will mean to humanity in the near future; his opinion leans toward the creation of more caring, dutiful work that citizens are to be tasked with in order to justify their base pay. I lean more heavily toward allowing and incentivizing people with the freedom to innovate cutting-edge and worthwhile products and ideas, rather than treating work as tasks that all citizens on UBI are dutifully obligated to complete. This seems to be the major difference in the majority mindset between the Free World and Communist-type Nations. 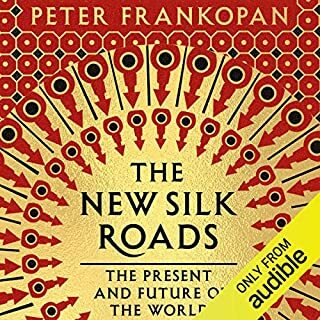 Overall a worthwhile book, despite the exaggerated Chinese nationalism (this might be a pro for Chinese listeners). 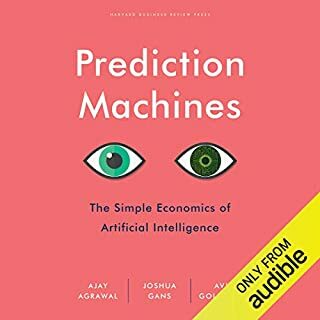 Indespensible, fact filled, captivating narrative on AI. Brilliant case for authors’ thesis. That 1) AI’s impact will be great, 2) China has more data and more granular data for powering AI, 3) China central planning of AI venture capital, policy and infrastructure is superior to US/market, so China will pull ahead in race, 4) That too rapid AI advancement will displace too many workers, so rather than nothing, or Universal Basic Income, credits for community volunteering are needed, 5) Love and relationships are meaning of life. Author is world renowned expert on 1, 2, 3! On rest I am less convinced. Yes, as human he can comment on human condition, including mortality. He is honest and vulnerable. Kudos. On UBI, etc, he is an amateur. I put this book up there with Machiavelli’s ‘The Prince’! The two without a doubt are important pieces of history. 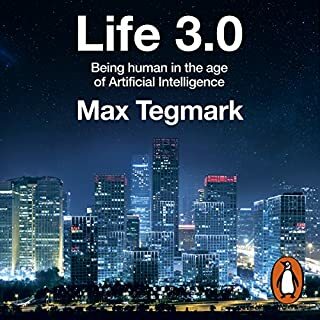 Throughout this book Lee goes from describing the history, technology, theories, development and eventual implementation of artificial intelligence as he himself grapples with his own definition of humanity. 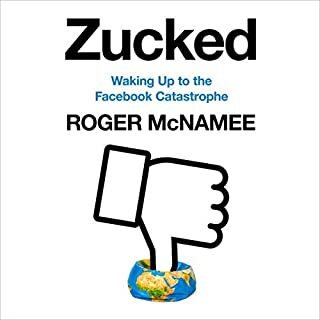 On one hand, he points to the dangers of exacerbated inequality that this new technology presents for millions while on the other he draws from personal life experiences to paint a picture where society coexists and benefits from this emerging revolution. 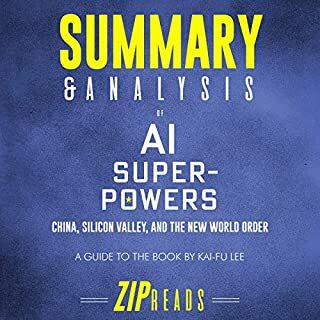 Kai-Fu Lee, gives us a great view of what is happening now and what is to come in AI and how we are all interconnected today and in even more in the near future with AI. One of the key components of this book is that Mr. Lee does educate westerners on Chinas business practices today and past history. 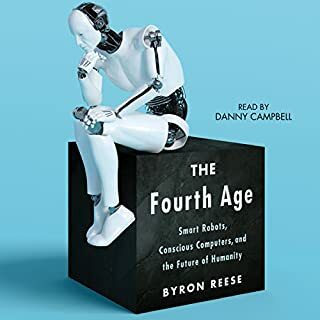 This ever engaging and educational book is a must-read for anyone wanting to intercept the moment of truth "the human AI" convergence. I enjoyed the history lesson and the humor. This book and Mr. Lee are "Brilliant"
The book started out analytically enough, and focused on the things relevant to the title. 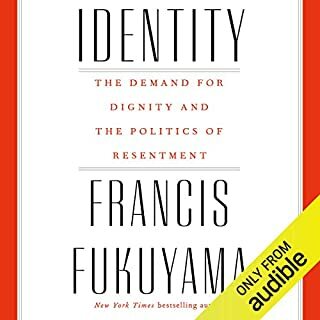 Towards the end, it was more of a personal narrative, and whole that's not necessarily a bad thing, it does raise the question if the conclusions drawn at the end are objective and analytically correct, or more of a emotionally motivated idealism. Love is a powerful thing after all, but not a great thing for analyzing trends rationally. 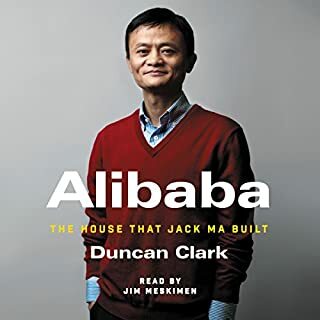 I don't understand why they would get a narrator who cannot pronounce Chinese names properly for a book about technology in China. A failure in trying to convince you that the author is special, that amassing data magically produces results, that stealing is good and China is magic. It's best taken as a propaganda piece by an apologetic self-promoter. biased.little on ai much on how great's China. could not finish. 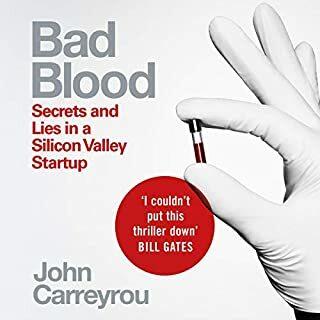 expected to learn facts about so, but was confronted with repetitive stories about how great and essential copying is, how great Chinese 'gladiator entrepreneurs' are and how they dwarf the silicon valley counterparts. biased and uncritically enthusiastic about turbo capitalism ąnd competition. I really enjoyed the book, however a little disappointed expected it to be maybe a tad sinister. I learned something new every 10 minutes! Fantastic book. A must read for anyone with futurist interests and a hunger for learning about AI and China. Not sure I agree about the conclusion which ends up leaning towards love is the answer to some of the dilemma questions we will face because of AI disruption. The book loses its steam towards the end. Was ok, but I expected more. It was an interesting read, and when it was on topic I really enjoyed it. The problem is that the author dives into side topics for too long, and occasionally does this across multiple chapters. In fact, i nearly returned the book after reapatative examples of why China is excellng at AI research went across 3 chapters! Could have been covered in one. This book is the best I've read in a long time! Worth every word of it! 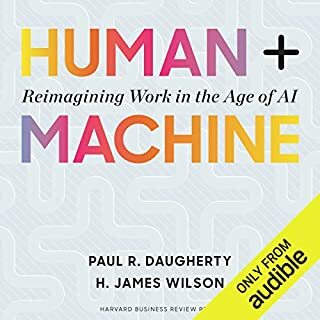 I highly recommend this book to anybody who wants to de-mistify the uncertainty surrounded by AI and our future with it. 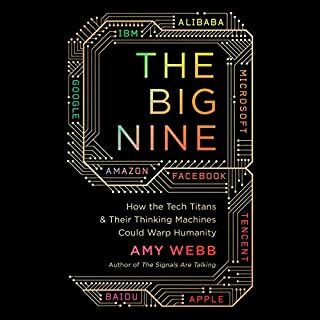 An insightful read that draws stark conclusions on Silicon valley and upcoming China in technological development. Most importantly it challenges us to consider better ways with living synergistically with AI, to forge a future that allows us to gravitate towards more humble, human conquests.